The guest house Na Faře is located in Dubenec village in Královehradecký region. The building was built in second half of 18th century (family holiday Hradec Králové and surroundings). Newly renovated guest house offers accommodation for 35 guests. There are available 18 beds in stylish equipped rooms with possibility of four extra beds. One of the rooms is wheelchair accessible (barrier-free accommodation Královehradecko). All rooms are equipped with sanitary facilities and television (luxury accommodation in countryside Hradec Králové). Thirteen more beds with sanitary facilities are available on the first floor in the newly built annex. Wi-Fi is available. Guests can use free of charge parking in the yard of the guest house (accommodation with parking for free Drůr Králové nad Labem). There is a play room for our guest also possibility of rental bicycles and place for storage bicycles (accommodation with rental bicycles Dvůr Králové nad Labem). All guests can borrow basic sports equipment such as bicycles, balls, badminton, tennis rackets and so on (active holiday in Dvůr Králové nad Labem). Those who want to relax after exhausting day can use wellness directly inside the guest house. There is an infrared sauna with a salt panel and the most modern Jacuzzi for 6 people which offers high standard in hydrotherapy (the guest house with wellness Hradec Králové). The stylish restaurant and a lounge built up from former horse stables provide pleasant seating (the guest house with a restaurant Dvůr Králové). 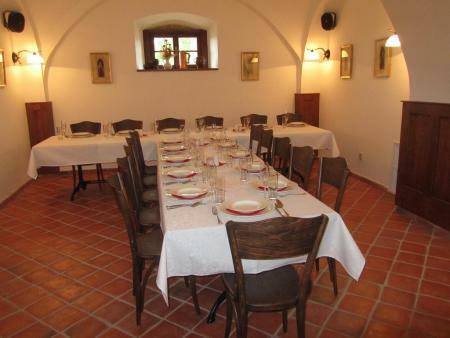 The food in the restaurant is based on traditional recipes of the old Czech cuisine. Our guests can taste mainly regional cuisine. In the summer there is a possibility of outdoor sitting in the backyard under umbrellas and at weekends sitting with grilled specialties and pleasant music (accommodation with outdoor seating Dvůr Králové nad Labem and surroundings). There is a restaurant with capacity of 30 seats, a lounge with capacity of 20 seats, both are non-smoking and sounded. The lounge with large-screen TV allows organizing corporate events, corporate parties, training sessions, seminars, business meetings, social events, family celebrations and watching sports broadcasts. 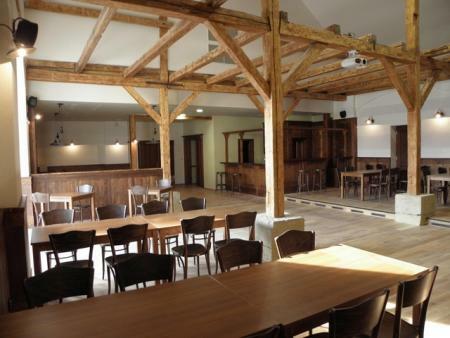 There is also a common room with capacity of 80 seats including a podium, a bar and cloak room (a lounge for events Hradec Králové and surroundings). We also arrange banquets and wedding receptions and other events. Do you like countryside, relaxation and comfort? Do you like tasty food and a good restaurant? You are on the right place! The agency Chata Tour provides rental of holiday chalets and cottages for domestic visitors and foreign guests. The angecy offers a wide range of proven chalets and cottages. Cottages nad chalets are for rent not only in the Czech republic, but also abroad - in Croatia, Austria, Slovakia, Cyprus, Slovenia, Romania, Italy, Hungary (Balaton) or indonesia (Bali). You can find there objects for familiy stays, cottages and chalets in the nature, cottages and chalets in the mountains, cottages and chalets with the pool in attractive areas of ​​the Czech Republic - in South Bohemia (Šumava, Orlík, Lipno - here you can rent a houseboat), South Moravia, Český ráj and more. In our on-line catalogue we offer one or more-week stays and weekend stays. Permanent guests are offered a discount. Welcome to the western village called Šiklův mlýn, in the biggest theme park in the Czech republic! This unique experience may be taken by all, regardless the age, as our rich program is suitable for families with children as well as for companies or bigger groups in Vysočina. Each summer week an attractive program is prepared and it has its climax as a great Saturday event. 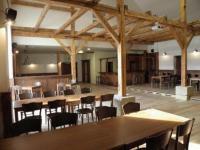 We also arrange accommodation, school trips or special summer camps in Vysočina.